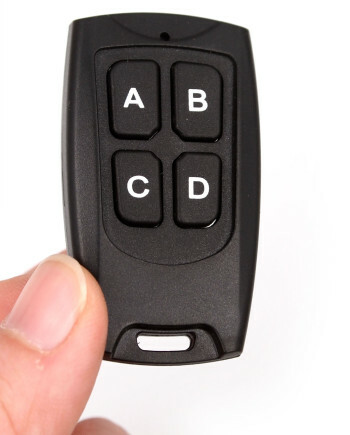 TX-112 is a 433MHz rolling code remote control designed to work with Solidremote 202U & 204U receivers. Not compatible with other receivers. It’s more secure than other fixed code, or so called learning code remotes on market, because the RF code changes every time after button is pressed. In addition, with over 18 quintillion (1.8 x 10^19) codes, the chances of ever repeating a code are virtually non-existent. Thanks to latest highly integrated RF chip, our remote works more stable and performs better than most similar remotes using old technology. 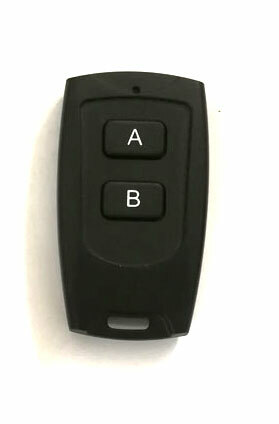 LED indicator flashes when remote is transmitting, also it will show faster flashing when battery needs to be replaced. * When opening remote control case to change battery, the recommended method is to use a utility knife or cutter knife to pry each side starting from center of the chain loop, be careful with sharp blades when doing this.